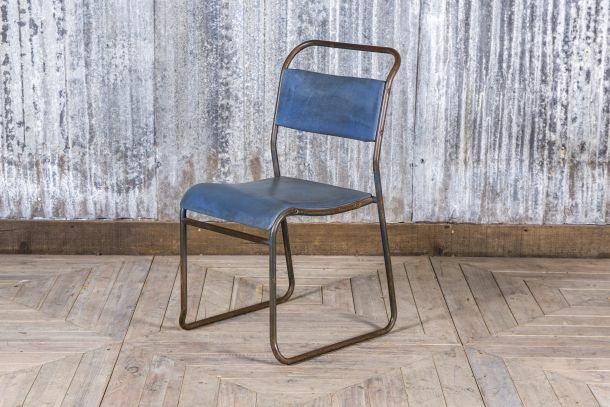 This blue vinyl chair would add vintage charm to any interior. 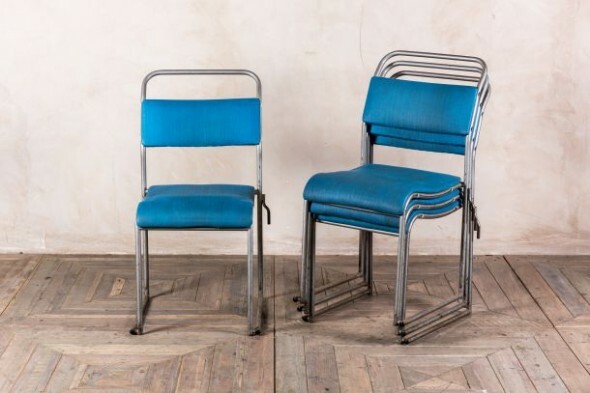 Each chair could be given a new lease of life in a cafe or restaurant; they are perfect for adding a pop of colour to a room. 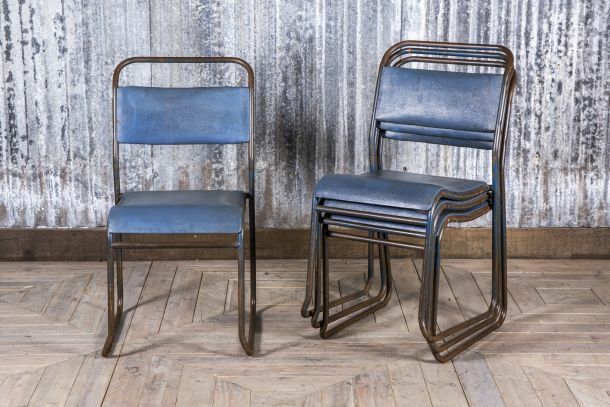 Stacking chairs are a popular seating choice for businesses as they are sturdy, versatile, and can be stacked away to save space and for easy cleaning. 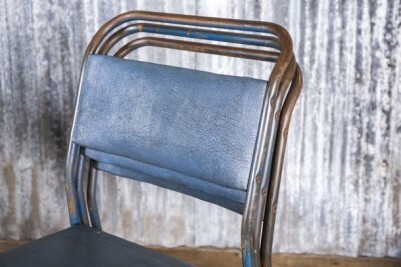 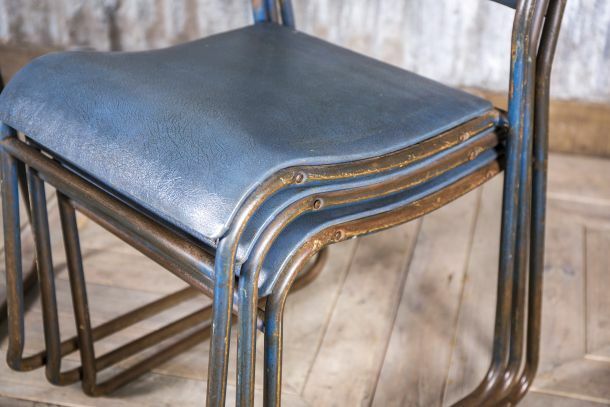 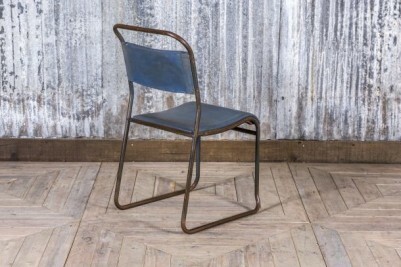 Each chair features a hooked tubular metal frame with aged blue paintwork, which has taken on a distressed appearance through daily use. 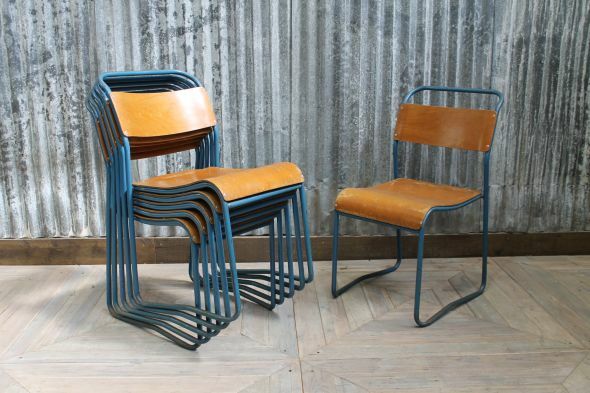 The chairs also feature a blue vinyl seat. 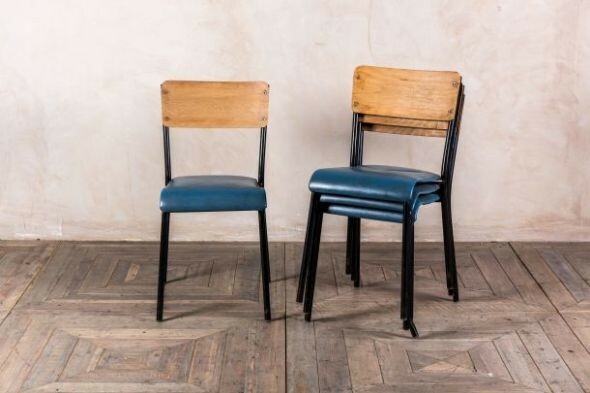 As these chairs are original vintage items they will show some signs of wear and tear, however we feel that this only enhances their charm.